The tapping tool TRUMPF-style creates fast, accurate, high precision threads in the TRUMPF-style punch press on any programmed location on the sheet. The tool streamlines punching applications, allowing fabricators to eliminate costly, inaccurate and time-consuming secondary operations such as manual tapping, clips or other hardware. The tapping tool TRUMPF-style forms threads in the sheet metal rather than cutting them, which results in stronger threads with a higher tensile strength than cut threads. The tool is capable of tapping threads in thinner materials when an extrusion in formed first. Unlike machined tapping operations, the tapping tool TRUMPF-style produces no shavings, making for a cleaner work environment. 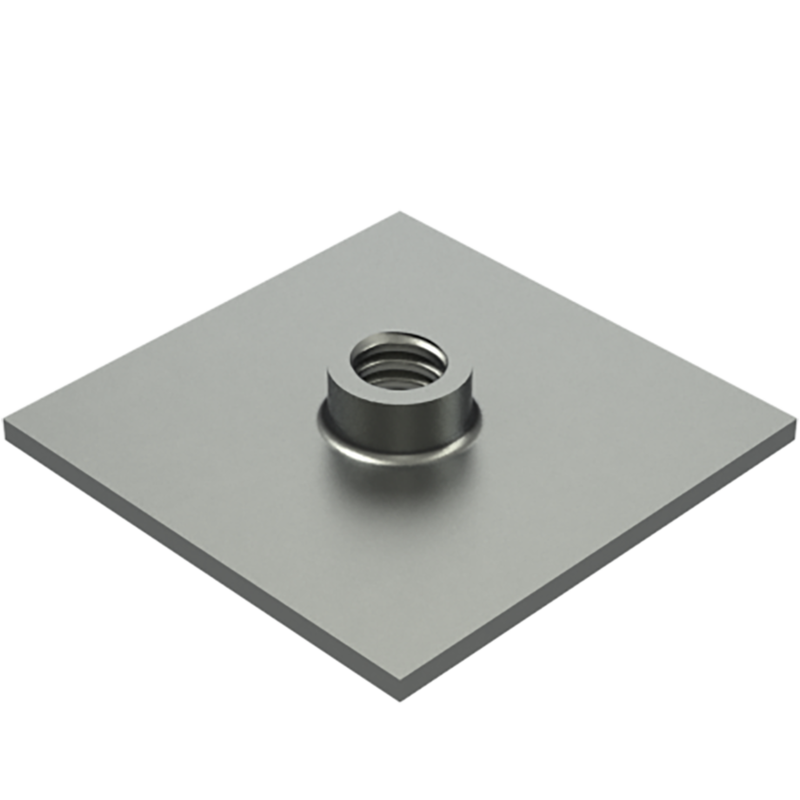 It helps prevent sheet scratching by using a high-lubricity die insert and Nitrex®-enhanced punch plate. The entire tapping tool assembly is shipped in a protective case with space for two upper units, two lower units, spare tapping modules, spare taps, and a tap-length setting gauge for easy storage. Each tapping tool TRUMPF-style type accepts multiple sized taps: Tool Type 1 taps a range of smaller threads while Tool Type 2 taps a range of larger threads. Taps are made with high-performance steel for longer life, greater strength and wear resistance. Taps are also coated with Titanium Aluminum Nitride (TiAIN) to increase lubricity and limit wear in tough materials. A wide selection of tap sizes and pitch are available through Wilson Tool. In addition to the Wilson Tool tapping tool for TRUMPF-style machines, Wilson Tool International offers QuickTap™ tapping tools for thick turret, Strippit PX and Euromac style machines. 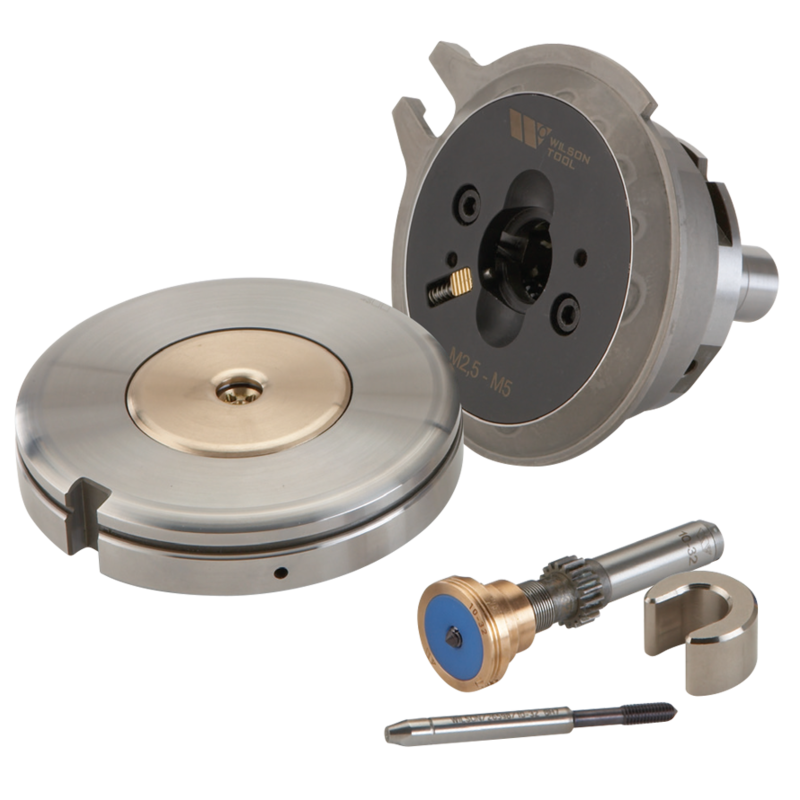 Learn more about in-machine tapping tools from Wilson Tool.